The time to bike is now ! Perfect weather, cool morning breezes. Today I’ll take you to the Artist’s House at the Taling Chan area. You can morphed this route to the one that leads to Kor Kafair. That under construction road I blogged about is still under construction ! From the restaurant, cross the canal to Wat Pak Nam Fang Tai ( Pak Nam Temple , South ) via the small pedestrian/motorcycle cement bridge. 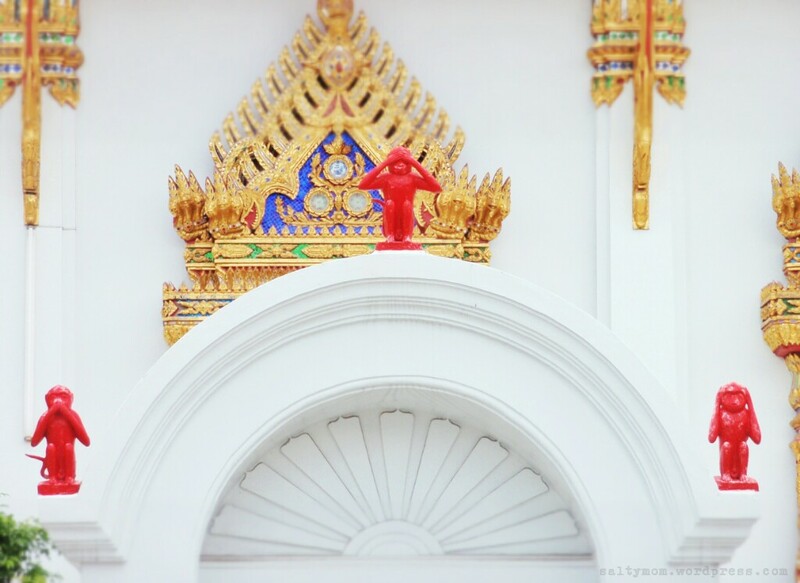 Ride down Bang Waek 2 lane, cross the Charoen Sanitwong 13 road, enter Bang Waek 3 where you’ll see Wak Nok temple. Continue heading south, you’ll be on PhetKasem 28 which runs parallel to the river. When you see Wat Khuha Sawan temple on the right you ride towards the river and carry your bike up to a riverside wooden house community. Find a place to lock up your bike. The bookshop that sells drinks is quite friendly. Cute, aren’t they ? Now the highlight of the trip .. The row of wooden shop houses at Klong Ban Luang used to be a lively community before roads were built. With urbanization, this place was forgotten and left as it was. You can see the row of shop houses with their front doors all facing the river and imagine how lively the place was with people paddling their boats, tending to their daily activities. Why is he red ? 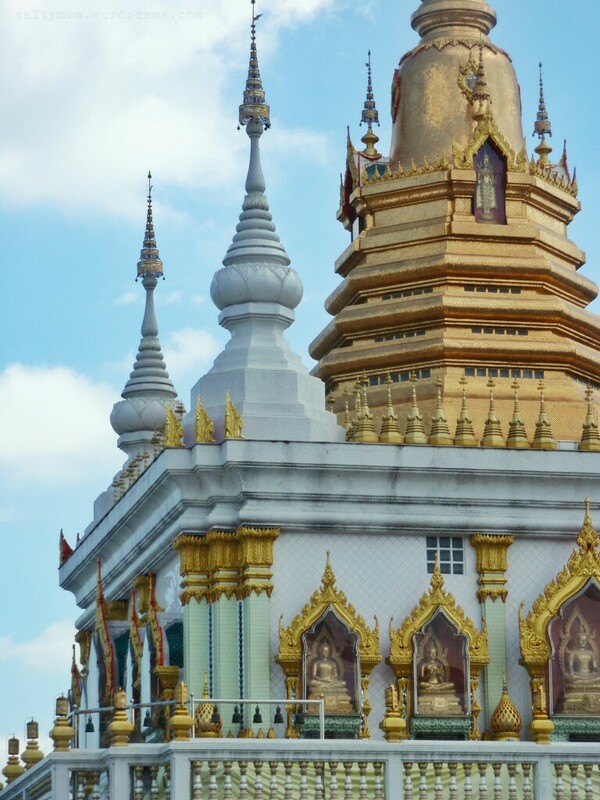 There’s also traditional puppet shows with this ancient stupa/pagoda as a backdrop. It’s right in the middle of the garden ! 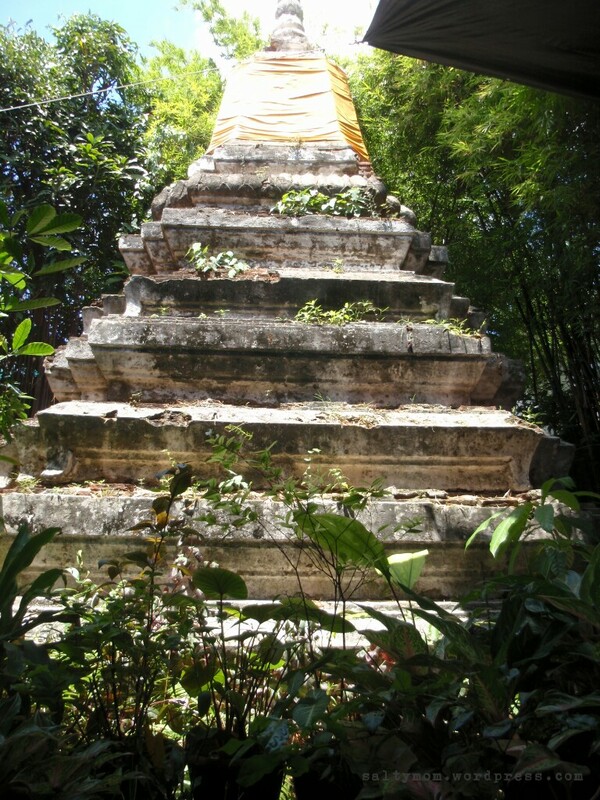 It’s hypothesized that this is one of the 4 pagodas that marks the outer vicinity of the Wat Kampeng temple. Around the Artist’s House are shops selling memorabilia and across the bridge is a noodle shop that also serves mango and sticky rice. Shopping and food covered with this trip !